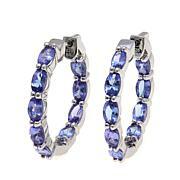 Every jewelry box needs at least one pair of stud earrings, and Colleen's gem-adorned beauties are sure to delight. 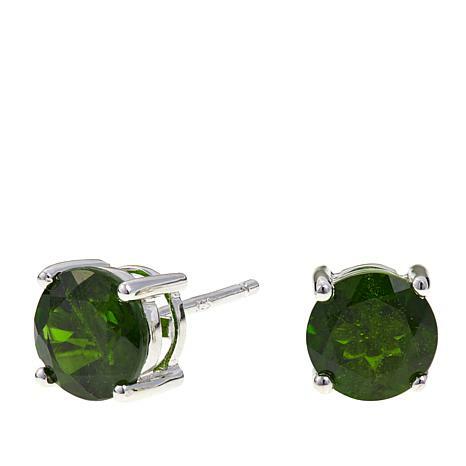 A timeless, wear-with-everything design is elevated by vibrant, sparkling chrome diopside. Let these be the studs you reach for on date night, during the workweek and wherever else life takes you. I was really surprised when I received them. The stones are nicely cut and appear clear of imperfections. Again, the backs of earring balance the studs on the ear lobes and look really nice on. Several people thought the stones were emeralds and I told them it was Chrome Diopside. The color is just beautiful. I am such a huge Chrome Diopside fan and these will match all my other pieces. 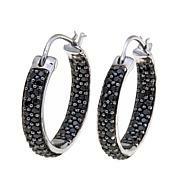 I just received these earrings, it was a present to myself for my 50th birthday and I am thrilled! The green is beautiful, no yellow or dark in the green, just a beautiful green. I can't believe the size of them, it's amazing and they are comfortable to wear. WOW! 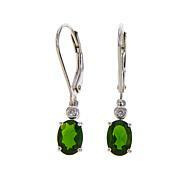 Green Brilliance at it's BOASTING BEST! I have an emerald engagement ring, it's a clear dark green stunner, that I rarely wear...my alternate love of all things green is CHROME DIOPSIDE. I have a ring; chrome diopside/green-diamond 7 stone band, THESE EARRINGS MATCH PERFECTLY; & because they aren't specs on my ears - they STAND OUT against my long hair. Their depth of green is amazing, the sparkle is brilliant. They glow from within. I am so glad I bought these, they make me feel very special. Their size is really noticeable; LOVE!